With the evocation of the death in combat of Frank Pais Garcia and Raul Pujols 58 years ago on the streets of this city, Cubans are paying tribute today to the martyrs of the Revolution. Since early today, children and young people lay flowers at the “Callejon del Muro,” a place where Frank Pais was shot by soldiers of the Fulgencio Batista tyranny, who with barely 22 years was the Head of Action and Sabotage of the July 26 Movement. In workplaces and other places in the city, men and women are meeting to remind themselves of the young organizer of the November 30, 1956 armed uprising, in support of the Granma Yacht landing that brought from Mexico the revolutionary fighters, led by Fidel Castro. 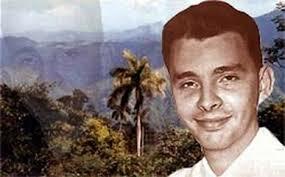 Hundreds of people will reenact this afternoon the popular pilgrimage from the Cespedes Park to the Santa Ifigenia cemetery, carried out 58 years ago with the corpse of the beloved fighter in defiance of the dictatorship. 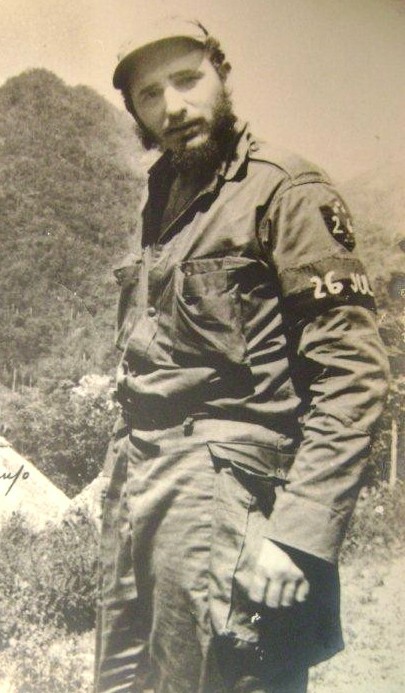 After knowing his death, Fidel Castro praised the great and promising qualities of the young revolutionary man, who was killed at the prime of life as an organizer and strategist from the anonymity of urban combat. 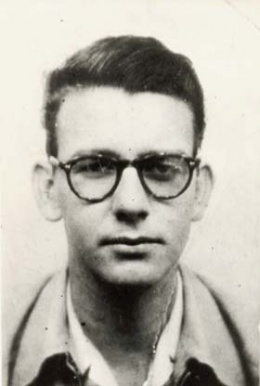 This July 30 tribute is extended to all martyrs of the Revolution, for also being the date, one year later, the death of Rene Ramos Latour (Daniel), who replaced the charismatic leader in such responsibility in the insurrectionary force. Venezuelans from different states gathered yesterday at the headquarters 4F, known as headquarters of the Mountain, located in Caracas, to mark the 61st birthday of the leader of the Bolivarian Revolution, Hugo Chavez. A wide cross-section of the Venezuelan people came to honor the legacy of Commander Chavez including the elderly, disabled, youth, children along with groups and representatives of community councils. With flowers and photographs of the eternal leader of the Revolution, the people lined up to visit the flower of the Four Elements where his remains exist. The celebration of the birth of the legendary past Venezuelan president, affectionately known as ‘the president of the poor, included acts from several musical and theatre groups as the young and old joined in a common sentiment to pay respect to one of the most outstanding leaders of the modern period. Also on hand at the solemn ceremony, which began at exactly 12 midnight on Tuesday, July 28th, and was broadcast live on TV network Telesur, were Chavez’s daughters María Gabriela, Rosa Virginia and Rosa Inés Chávez, his cousin Asdrúbal Chávez, Army Commander Cilia Flores, Venezuelan Vice President Jorge Arreaza and the country’s ministers. In a letter to the late president, his daughter, Rosa Virginia Chavez, said the example of her father remains in force in all persons in the world who are willing to sow the seeds of solidarity, justice and love. She also said that every day, the revolutionaries move along the path which he carved out in order to magnify Venezuela. We will continue training ourselves to defend this homeland you left us, Rosa Virginia Chavez wrote in the letter, and explained how his values went beyond the country’s borders and were settled in Latin America and the Caribbean. She also confirmed that the Bolivarians will support President Nicolas Maduro to keep the Revolution and its social conquests. Shortly before departing Tuesday for New York to meet with UN Secretary General Ban Ki-Moon, Venezuelan President Nicolás Maduro paid homage to Hugo Chavez at the Cuartel de la Montaña in Caracas, which treasures the remains of the late Bolivarian leader. Cultural galas and other commemorative activities have also been organized in countries like Spain, Cyprus, Nicaragua, Cuba and Ecuador, to pay tribute to the beloved Bolivarian and Latin American leader. Since July 24, there have been tributes to Chavez including workshops on his ideas and along with various cultural and recreational activities in different states to remember the legacy of the leader of the Revolution, under the name “Planting Love, Harvesting country ‘. 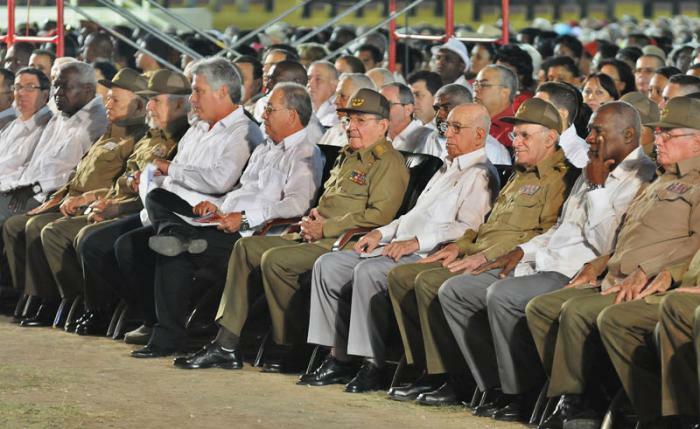 On Sunday, July 26, President Maduro said from the Mountain Barracks that one of Chavez’ great contributions was the Miracle Mission, founded along with the leader of the Cuban Revolution, Fidel Castro, and through which about four million people recovered sight or their quality of vision. Residents of the Venezuelan capital conducted a national cohetazo on the anniversary of Commander Chavez. 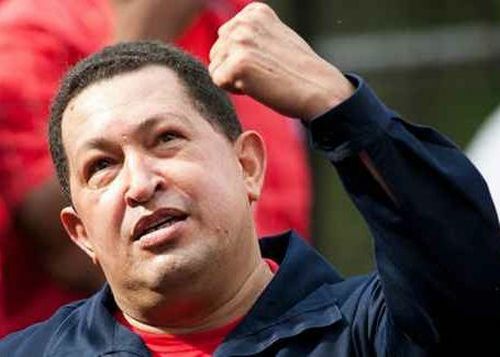 The town of Barinas, where the Commander Hugo Chavez was born, accompanied the relatives of revolutionary leader in various activities to celebrate his birthday and ratify their loyalty to the socialist process that bequeathed and which President Nicolas Maduro continues. The brother of the commander and governor of Barinas, Adan Chavez, said that the leader of the Bolivarian Revolution continues to motivate the people to defend the homeland. He also stressed that the effect of his legacy is evident in the military civic union. After singing Happy Birthday to President Chavez, the candidate of the United Socialist Party of Venezuela (PSUV) for the circuit five of Caracas, Jacqueline Faria, said that the leader of the Bolivarian Revolution is a flame that lives in the Venezuelan people. 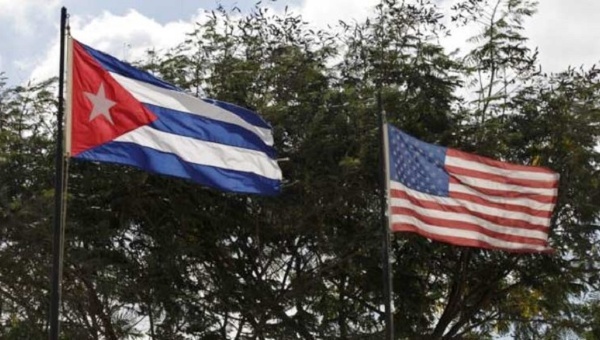 THE resumption of diplomatic relations between Cuba and the United States has signaled a historic milestone in the official thaw that President Barack Obama set in motion last year as the United States reopened its six-story embassy in Havana on Monday, and Cuba raised a flag outside its own stately embassy in Washington, according to President of the Guyana Cuba Solidarity Movement (GCSM), Haleem Khan.Underscoring the culmination of months of negotiations to overcome decades of enmity, Khan said Cuba is still rallying against the United States’ travel restrictions, trade embargo and presence at the military base at Guantánamo Bay. The GCSM President noted that even with continuing friction, the reopening of embassies in each other’s capitals provided the most concrete symbols yet of what has been achieved after more than two years of negotiations between governments that had long shunned each other. The opening of the embassies is but one-step in the process of strengthening the relationship between the two countries, the White House has maintained. The U.S. removed Cuba from the State Department’s state sponsors of terror list in May, and President Obama personally met with Raul Castro at the Summit of the Americas, which was the first in-person meeting of American and Cuban leaders since the diplomatic ties were severed. 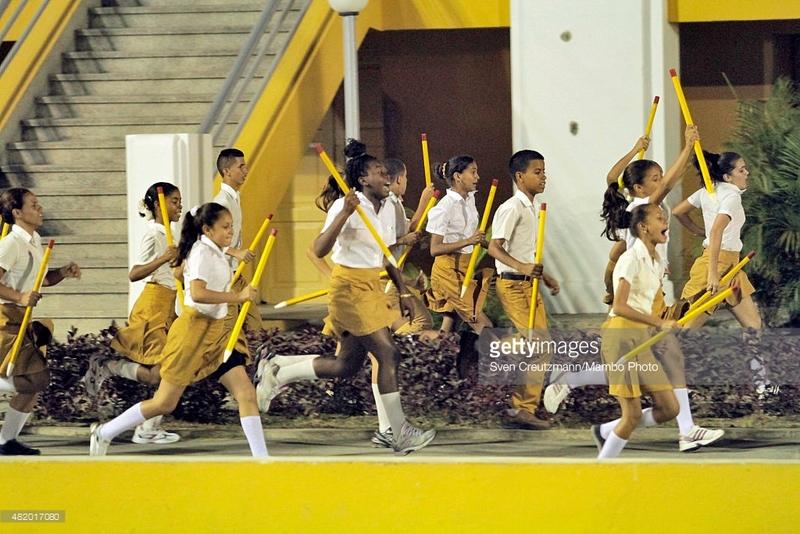 An atmosphere of celebration, joy and patriotism reigned today in Santiago a city which just celebrated the 500th anniversary of its founding, and in which the children confess that these same emotions are always present when they celebrate their most important date – the date which marks the heroic deed of the attack on the Moncada Garrison led by Fidel 62 years ago . The red and black, white and blue colors abounded on the streets; in the clothes of its inhabitants, in homes and public buildings, as the Cuban and 26 of July flags flew while chants ennobling revolutionary fervor filled the air. Again, participants in the attack on the Moncada Garrison reunited with history, and heroes and the people joined in one embrace in the morning of Saint Ana at the site of the July 26 School City, where at 5:12 a.m. the traditional symbolic attack was carried out and the main rally for National Rebellion Day was held. The July 26 Monument Area, remodeled for the occasion, was in all its finery, with its Abel Santamaria park-museum, the old Saturnino Lora Hospital and the Law courts, sites that keep a piece of the heroic deeds lived in 1953 by Santiago de Cuba by locals and youth of the Centennial Generation. For journalist and retired combatant Manuel Antonio Rodriguez, the indomitable spirit of the inhabitants of this land is reaffirmed in such a significant date for the country, when the struggle for national sovereignty, which brought about the dawn of January 1959, was restarted. We are proud, he said, in a city that is a symbol for its history, culture and people, with notable work and full of deeds; yesterday in emancipation, after winning the definitive freedom; today, working hand to hand to make this piece of Cuba grow in stature. Teacher and Labor Hero Rolando Beltran runs a school named after martyr Abel Santamaria, where there is no better prize and reward, he says, than educating men and women of the same lineage. He highlighted the spirit of his countrymen, capable of rising to the challenge of creating after the devastation caused by Hurricane Sandy in 2012, following the example of the Moncada attackers, of its heroes and martyrs. July is a peculiar month to those born in this part of the archipelago, who live days of homage, of holiday and work, with streets filled with singing and folklore of people expressing unceremoniously all the joy harbored in their hearts, all the strength coming from their ancestors. 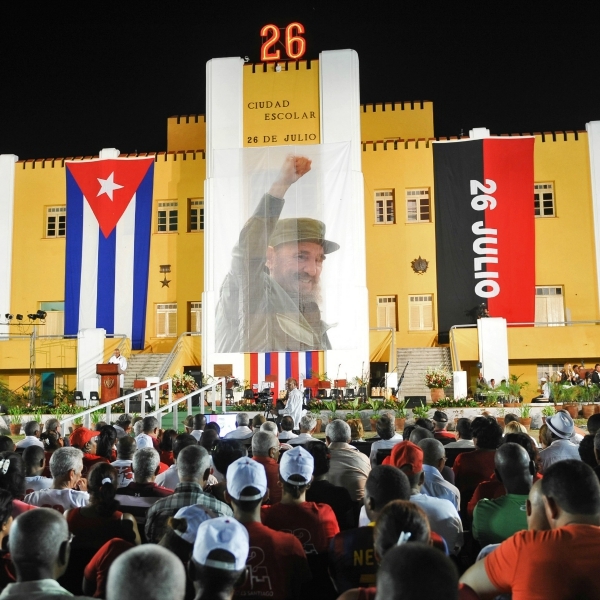 This is a people of love and virtue, a people who honor the rebelliousness and bravery of their city every July 26 as if the shots and the light of Moncada had shaken Santiago de Cuba again and the city shook and throbbed with more verve to the beat of all Cuba. 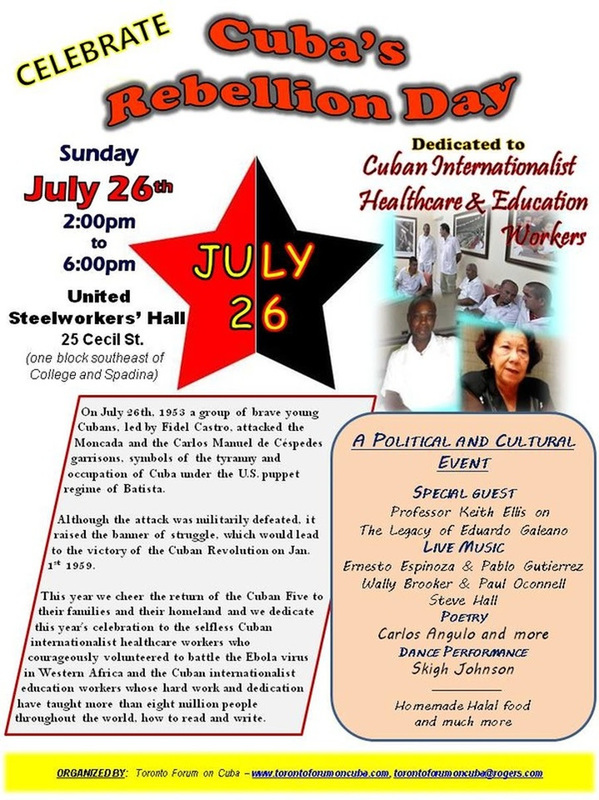 United Steelworkers’ Hall, 25 Cecil St.
On July 26th, 1953 a group of brave young Cubans, led by Fidel Castro, attacked the Moncada and the Carlos Manuel de Céspedes garrisons, symbols of the tyranny and occupation of Cuba under the U.S. puppet regime of Batista. Although the attack was militarily defeated, it raised the banner of struggle, which would lead to the victory of the Cuban Revolution on Jan. 1st, 1959. This year we cheer the return of the Cuban Five to their families and their homeland and we dedicate this year’s celebration to the selfless Cuban internationalist healthcare workers who courageously volunteered to battle the Ebola virus in Western Africa and the Cuban internationalist education workers whose hard work and dedication have taught more than eight million people throughout the world, how to read and write. 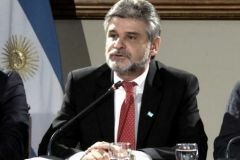 The head of the Argentine Foreign ministry’s Malvinas affairs Desk, Daniel Filmus was hosted on Thursday with a special session at the ALADI offices in Montevideo, as part of the 50th anniversary celebration of Resolution 2065 which recognizes the existence of a sovereignty dispute between the two countries. ALADI stands for the Latin American Integration Association and is made up of thirteen members: Argentina, Brazil, Chile, Colombia, Cuba, Bolivia, Ecuador, Peru, Venezuela, Mexico, Panama, Paraguay and Peru. The current chairman is Carlos “Chacho” Alvarez, a former Argentine vice-president who resigned ahead of the 2001/2002 political and economic meltdown of Argentina. “Why some countries are punished if they don’t accept UN resolutions, while others that are founding members and also have permanent seats in the Security Council can look aside and not comply with what the UN Decolonization Committee reiterates year after year?” asked Filmus following the special session and unveiling of a commemorative plaque and a Malvinas hall in the ALADI Montevideo building. Filmus said it was hard to understand why the UK had not sat to dialogue with the Argentine government to address the issue, as established by the UN General Assembly resolution: “How can it be that the UK refuses to comply with the United Nations”, he insisted. Filmus also made comments on the recent decision by the Argentine justice to embargo British, US and European companies’ assets for their involvement in the exploration and exploitation of hydrocarbons in the Falklands/Malvinas Islands without the consent of the Argentine government that claims the Islands and adjoining maritime spaces where the exploration for oil and gas with Falklands’ awarded licenses it taking place. “We are not intent in isolating or suffocating economically the Malvinas Islands, but simply want to exercise our rights, and our rights are sovereignty over the Islands” underlined Filmus regarding the UK government claims that Argentina wanted to ‘strangle’ the Falklands economy and the development of the Islanders’ hydrocarbons industry. The Argentine official said that there were three main important pending questions in the region: Panama canal sovereignty, US and Cuba relations and the Malvinas dispute, and now “two of them have been accomplished, only the third one is waiting to be resolved”. ALADI chair Alvarez pointed out that “the Malvinas Islands claim is inexorably becoming a Latin American cause”. He added that nowadays colonialism is condemned by all countries in the world and “only 17 of these cases have survived so far, of which ten are linked to the UK”. Alvarez also warned how dangerous is was to have in Latin America ‘a foreign power’ occupying part of ‘our territory’ and underlined the importance of ensuring that “our resources” are preserved to the benefit of the Latin American community. Finally the president of the ALADI representatives council, Felix Rivas Alvarado read a message from Venezuelan president Nicolas Maduro expressing full support and solidarity with “Argentina’s legitimate claim over the Malvinas”.